Our children do not receive a regular allowance, but do earn money in a variety of ways. (More on that another time.) In addition to earning money, they are very blessed to be recipients of cash gifts for birthdays and Christmas. As I mentioned the other day, Ray and I have taught them how to shop smart and save more. Although we encourage them to save for the big things, sometimes the kiddos’ urge for that book or pack of gum overtake their will to save, adding to the need to teach them about the valuable financial concepts of creating some financial goals, albeit pretty basic at their age. We’ve attempted to teach these valuable lessons in a variety of ways. We adopted the envelope system for a time, placing a bit of money in three different envelopes – one for saving, one for spending, and yet another for giving. Then the twins opened “accounts” at The Bank of Mom and Dad, in which they placed all of the money they desired to save, while handling the spending and giving portions themselves. Now the younger kiddos are discovering ways to earn some extra cash and we are beginning to teach them how to properly handle their money. Teaching these concepts and putting them in to practice at an early age will prepare my kiddos for their future. Did you know kids get an average of $25,000 in gifts and cash from 0-18? Yet most children have a net worth of zero when they leave home. With Christmas just around the corner, it’s time to try a new way to set some financial goals for my kiddos, as I’m sure their school breaks will bring many opportunities to earn some money and gifts will most likely include some amount of cash. We found a great site called Kidworth that is designed to help kids of all ages learn financial goal setting so they can succeed financially. More accurately, it found us! Kidworth is a free tool designed to teach kids financial goal setting. With the holidays fast approaching it’s a great time to set up a Kidworth account. You would set up the account and together you and your kids could enter some goals. Whether they’d like to save up for guitar lessons or a donation to the local animal shelter, Kidworth can help them achieve their dreams this holiday season, and you won’t have to deal with so much stuff. 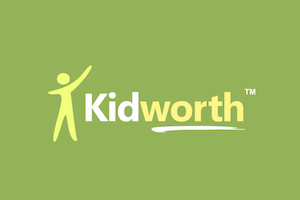 We’ve signed up for Kidworth and have given our children the best gift of all – financial responsibility. 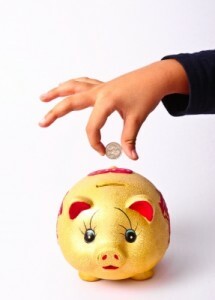 How about you – How do you teach your kiddos about financial responsibility?